is the Old Dominion Foundation Professor in Humanities at Columbia University in New York. His latest book is The Beneficiary (Duke University Press, 2017). ‘We are the 99 per cent!’ Many of us who have applauded those stirring words, beginning with the Occupy Wall Street movement in 2011, knew that the number was not precise, and was never intended to be. The slogan did not arise because someone calculated that 99 per cent was more accurate than 92 per cent or 85 per cent or 66 per cent. It arose because it seemed to capture the grossness of a prevailing inequality. The problem is that a global perspective almost reverses the figure. At the level of the planet as a whole, Londoners and New Yorkers and Sydneysiders who proclaim ‘We are the 99 per cent’ are in fact much more likely to belong if not to the 1 per cent, then certainly to the top 10 per cent. Innumerable observers have noted that the so-called developed world accounts for a disproportionate share of the world’s resources. The rich in global terms are relatively few in number, but they punch above their population weight in terms of consumption of goods and services, as well as the production of toxic wastes. Internationally speaking, the official statistics on mortality rates and childhood malnourishment are similarly out of whack. As the economist Branko Milanovic has been insisting for decades, inequality within nations, bad as it is, pales in comparison with inequality between nations. Yet even those of us who find global inequality troubling and ultimately indefensible hesitate to raise the subject. Mostly because things being how they are, talking about it doesn’t seem to do any good. The economy is supranational, while even at its best, politics seems restricted to the scale of the nation. Even where free and fair voting exists, national citizenship does not confer voting rights on ‘foreigners’, and this despite the fact that those foreigners are often directly affected by the policies that will be decided upon. Since the foreigners don’t vote, what political party would campaign for global economic equality? Who would even raise the issue? 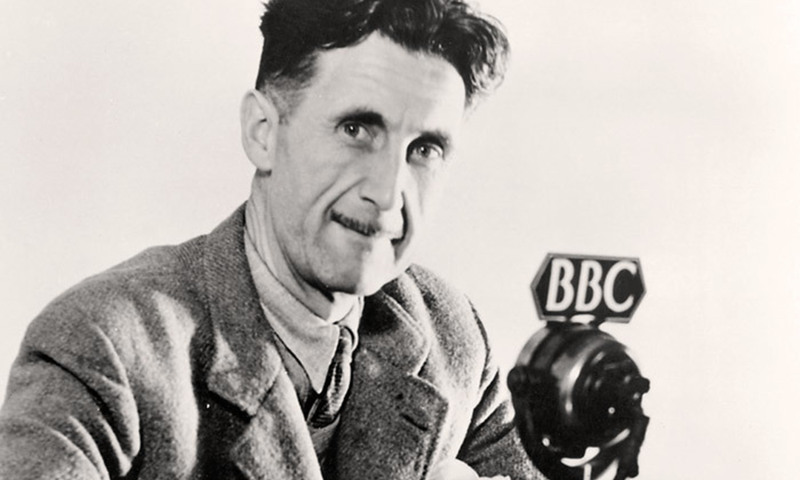 As it happens, George Orwell did, and Orwell’s response could be more instructive than ever. In a provocative essay entitled ‘Not Counting Niggers’ (1939), Orwell wrote that he refused ‘to lie about’ the disparity in income between England and India. The disparity is so great that, he asserted, an Indian’s leg is commonly thinner than an Englishman’s arm. ‘One mightn’t think it when one looks round the back streets of Sheffield, but the average British income is to the Indian as 12 to one. How can one get anti-Fascist … solidarity in such circumstances?’ he asked in a 1943 review of a book by his friend Mulk Raj Anand. To Britons, he explained that ‘Indians refuse to believe that any class-struggle exists in Europe. In their eyes the underpaid, downtrodden English worker is himself an exploiter.’ Orwell doesn’t say that the Indians are wrong, and there is much evidence that he thought they were right. ‘Under the capitalist system,’ he had written in The Road to Wigan Pier (1936), ‘in order that England may live in comparative comfort, a hundred million Indians must live on the verge of starvation.’ Six years later, he wrote: ‘The overwhelming bulk of the British proletariat doesn’t live in Britain but in Asia and Africa … This is the system which we all live on …’ Orwell recognised that, at a global scale, underpaid and downtrodden English workers were exploiters. In the dark winter of 1941-42, Orwell found himself working for the BBC Eastern Service, writing and supervising radio broadcasts to India. His job was to mobilise support for Britain’s anti-Nazi war effort, and to get that support from the victims of British colonialism. Some of his friends who fought for Indian independence were still languishing in British jails. Three weeks later, Orwell was still at it, and insisting that his approval was widely shared. ‘No one complains of these restrictions,’ he wrote again on 14 March. ‘On the contrary, the general public are demanding that the restrictions shall be made even stricter, so that the selfish minority who behave as though Britain were not at war can be dealt with once and for all.’ Even the government, which had ordered the rationing, found his enthusiasm excessive. They warned him to lay off. The passage above was cut by the Ministry of Information. Why did he persist? No one can know for sure, but it seems most likely that he did so because he knew it was something India needed to hear. There could be no anti-fascist solidarity unless the exploited Indians could believe that a more just distribution of the world’s resources was possible – that global inequality could be changed. The popularity of rationing proved that, with the right incentive, the citizens of the more prosperous countries were willing to live on less. If this had happened in wartime, it might also happen in peacetime. There were other ways to divide the pie. No law of nature or economics pegged British consumption and Indian consumption at a 12-to-one ratio forever. In trying to force rationing into his BBC broadcasts, Orwell was being ruthlessly logical. Rationality, which dictated fairness for all, had seemed to him too cerebral, and therefore incapable of motivating any important political movement toward justice at a global scale. But the experience of rationing in the war against fascism had imbued rationality with a real popular passion – not the jingoistic or atavistic passion ascribed to today’s populisms, but emotion infused with reflection on fairness. From this perspective, greater justice on a global scale no longer looked, or looks, quite so utopian.